Randy is a Certified Public Accountant and principal owner of Central Tax & Accounting Service for over 35 years. He rejoins his friend and colleague, Phil Multop – a previous business partner when the two were beginning their careers over four decades ago. Randy attributes Phil’s management abilities and financial acumen to the initial success and growth of Central Tax. In joining with Multop Financial, Randy embraces our firm’s mission of augmenting clients’ wealth management goals with high level income tax planning and business accounting. He eagerly looks forward to serving clients with the team of advisors here at Multop Financial. Randy specializes in personal income tax preparation and management accounting for the small and medium sized business. He is a long-term member of the Washington Society of Certified Public Accountants and the Institute of Management Accountants. Randy has been blessed to serve the Whatcom county community for the last 35 years. 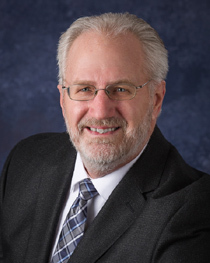 He has been a Board Member and Treasurer for the Lynden Christian School and currently serves as the Secretary and Chief Examiner of the Civil Service Commission for the city of Lynden, a position he has held for over 30 years. Randy’s family as been the biggest blessing in his life – his wife, Nancy, of forty-two years, their four children and their spouses, along with five energetic grandchildren. They enjoy regular camping excursions and road trips. For tax consulting or business accounting service, contact Randy using our Contact Form.